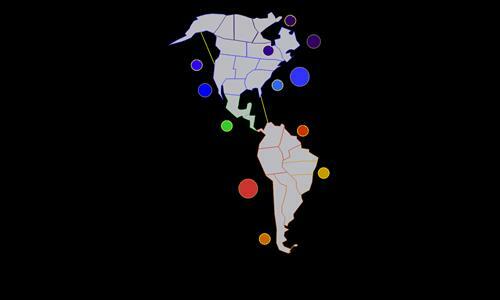 A small map of the Americas. Review by karkarah on 3/18/2016. Review by Pablo Cánovas Montes on 3/20/2018. It's a simple map which gives rise to many possible scenarios despite its small size. However, the bonuses seem somehow unbalanced, as one person can take a 3 armies bouns in a turn, which is really annoying and locks the game into one path. Nevertheless, I do admit that I might have not tested this map further to see if the bonus are truly unbalanced. Review by SplitSoulGaming on 1/28/2019. Too straightforward, can be won by doing absolutely nothing.